This paper will bring forth a series of additional health related suggestions and topics for further research with respect to the “Morgellons” condition. The emphasis will be upon specific nutritional or therapeutic supplements that may be worthy of additional study and investigation by the health communities and professions, and how these may relate to the symptoms expressed within the condition. It is important to mention that each of the items or topics mentioned results directly or indirectly from the laboratory research that has taken place at the Institute over a period of several years. The details of that research will be too complex to elaborate on here, but the nutritional and supplement topics will at least be brought forth to the public for investigation and discussion. The first is to be familiar with correspondence that has been delivered to a variety of individuals that have contacted the Institute over a period of several years on the Morgellons issue. This correspondence follows immediately below. 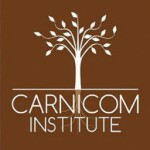 Greetings from CI,Thank you for writing to Carnicom Institute about your health situation. Numbers 14, 15 and 17 on this paper (Morgellons : A Thesis) – especially No. 17. Please find and review”Carol’s Smoothie” on the Media Resources Page, and the external link with a focus on nutrition; proper nutrition has a direct relationship to the research that has been presented. Search for anything written related to iron, protein, amino acids, glutathione, NAC, antioxidants, vitamins A, B, C, D,E, across the board, enzymes, gelatin, oxidation of the body (smoking would seem to be a serious and undesirable complication of matters), collagen, liver, and detox. Reading about them could offer insights into their role in maintaining health. Listen to Mark Kilcoyne’s webinar with Mr. Carnicom. Please see the recent paper (Morgellons : A Working Hypothesis) particularly the third section on mitigating strategies. Pay special attention the thyroid, metabolism, and halogen substitution on the thyroid and iodine are discussed. We recommend that you watch Clifford’s youtube videos with the late Dr. Gwen Scott, naturopathic doctor. She refers to several treatments that may be helpful. There is also a paper from her on our site in the research papers section that presents a series of suggestions on the subject. Although there have been several important discoveries in recent months, the recommendations here represent a substantial body of research that may be of benefit. The second is to be familiar with ALL of the health related research of Carnicom Institute as it has been presented on this site. The third requirement is to be familiar with and knowledgeable of the results of the Carnicom Institute Morgellons Symptom Survey results. This database contains information from approximately 1000 participants from across the globe over a one year period, and it is readily available (including a summary report) on this site. It will be of continuing interest to correlate the results of that survey with research conducted by Carnicom Institute and others, as well as with the activity that manifests within the CI Community Health Professional Network (CHPN). Only with these three requirements being met can the information that follows be understood in its proper context. Mention of any supplement does not mean that one automatically begins just ‘taking a supplement’. The reason that the health disciplines and the health professionals (including, I might add, the nutritionists) exist is so that we can learn from them and that we can be helped. Too little information and understanding can often be as damaging as total ignorance, as difficult as that may be to realize at times. As I have mentioned, it is not appropriate to expect any ‘silver bullets’ from Carnicom Institute with respect to health discussions; the issues are complex and they can pose additional risks if they are oversimplified. The Carnicom Institute Community Health Professional Network (CHPN) has been established as an offering for a reason; it is to stimulate the professional discussion which must now take place. It is the purpose here to raise topics and questions that deserve study; it is not to establish premature conclusions on issues that are only slowly coming to light. That being said, with all of the caveats and prerequisites made clear, let us compile a list. If an item exists on the list, it means that an interest in the topic or subject evolved from various avenues and methods of research over a period of recent years. It also may well have some bearing on the health implications and impacts from the Morgellons condition; time and proper study will eventually resolve that case. “Taking” a particular supplement is not the business at hand here, but the role of that particular supplement with respect to human health and nutrition is. Again, as always, each individual is responsible for consulting the health professional or consultant of their choice to reach decisions about their own particular situation and needs. Carnicom Institute is not in that business, but there is tremendous interest here in the role that these supplements assume in human health, both to deficiency and excess for that matter. The role of the nutritionist will become increasingly important as the proper studies take place; this list is simply an offering on the table of particulars that may have a disproportionate influence or bearing on the Morgellons condition, in particular. This is all in addition to the prerequisites stated above, and this combined pool of analysis should provide some suitable fodder for developing strategies in the future. Any of the supplements that are known to improve bone, joint, and cartilage functions. This includes supplements such as glucosamine, MSM, hyaluronic acid, collagen, gelatin, and the like. Supplements which improve skin, nail and hair functions, such as biotin and collagen. The immensely important role of antioxidants and their precursors (e.g., vitamin C, NAC, alpha lipoic acid, glutathione, etc.) will not be repeated in depth here, but it will be mentioned. It will be remiss to neglect the extensive discussions on this topic that have taken place. The role and importance of the B vitamins in human health. There are particular interests in B-2 and B-12 that are at the investigative level. Neural aberrations are also a topic of study here. There are variations in the composition of B-2 and B-12 vitamins as they are commonly sold, and the issues of bioavailability and cyanide complexes also become important here. The role of enzymes with respect to essentially every biochemical reaction that takes place. The decline in enzyme production as it relates to aging is also a highly worthy topic. Examples here include betaine hydrochloride, pancreatin, amylase, protease and bromelain. The importance of probiotics, such as Lactobacilli and Bifidobacteria, in the digestive process, and also the decrease in effectiveness of digestion as it relates to aging. The benefits from the natural Omega-3 fatty acids can include, as a partial listing, triglyceride fat reduction (e.g., blood, liver), reduction of stress, anxiety and depression, lowering pain from arthritis, and joint pain, brain and cognitive function, and alleviation of some skin conditions. Additional benefits are stated as well, such as benefits to vision and lowering the risk of heart disease. There are some important chemical differences between some synthetically produced and natural fish oils; it is prudent to be aware of these differences as they did come to light within the research processes. Coenzyme Q-10 and its role with respect to cognitive, neural and brain function. Calcium D-Glucarate, and the role that it may have with the reduction or removal of polymer and/or plastic toxins within the body. This form of toxicity is also of broad based environmental concern with respect to health, and it presents especial difficulties with regard to lever toxicity. BPA toxicity is also a related topic here. Enlarged livers and increased adipose tissue appear to be prevalent within modern society. Removal of such compounds from the body is especially difficult, and it would seem to be an area of research in great need. The role of phosphorus and the effects from its deficiency in the body is an interesting topic of research. The primary question that arises here is that deficiency is not normally supposed to occur; any normal diet is apparently sufficient to alleviate this concern. The symptoms of deficiency are, however, of great interest here, especially as they relate to bones, teeth and neural functions. There are important interactions and relationships between calcium and phosphorus absorption. There is interference to phosphorus absorption in the human body from certain aluminum compounds. It is also fair to mention here that phosphorus is highly important to bacterial cell membrane structure (phospholipids) as well as DNA production. The role of the citrate ion is an intriguing and additional topic of research with respect to microbial metabolism. Citrate ion complexes are commonly available in various forms, such as those joined with either sodium, potassium and magnesium, for example. The solubility of various citrate complexes, in both water and with pH variability, is to be considered. The balances and risks of both excess and deficiencies of these various electrolytes and ions in the body is a serious topic of medical and health science, and they are not to be ignored within this research. Aromatic therapies may also play an important role in our study of this condition. There are certainly a host of respiratory symptoms that have made themselves known in association with Morgellons. This is a broad field of study to pursue, along with all the potential health benefits from the essential oils (and the 6000 year history, chemistry and science that accompanies it). A simple and immediate interest exists with the use of tea tree oil (Melaleuca alternifolia) for potential therapeutic purposes. All essential oils have potential relevance to this topic of health research. Valerian root is well known to have potential benefits with respect to anxiety, blood pressure, sleep issues, and stress management. This natural sedative may be of additional benefit in the research that lies before us. The role of vitamins in general, and their known role as antioxidants. The existence of nitrites in urine samples represents another potential topic of investigation and research; only preliminary indications of interest exist here. Should this topic develop further, the role of cranberries and cranberry supplements with respect to urinary tract investigations (UTI) will be examined. Various potential urinary markers are a current topic of interest. The relationships between nitrite existence, the oxidation of iron from the ferrous to the ferric state, methemoglobin and carbon monoxide toxicity are to explored further (via Harrison’s Internal Medicine, 16th edition, pp. 598-600). The studies on the alteration of iron states in connection with the Morgellons condition have been extensively discussed on this site, and the connections mentioned above are deserving of special attention in the research. Electrolyte balances are to be maintained. Electrolytes are at the core of current flow within the human body and they are required in balance for proper cell functioning. There is interest as to whether the lymphatic system will serve as an additional symptom marker for the detection of inflammation caused by the microbial source of Morgellons. The lymphatic system serves three primary roles: a) the filtration of harmful microorganisms, b) the absorption and transport of fats and lipids and c)the drainage of excess fluids from the body tissues. Overloading of the lymphatic system is expected to produce observable symptoms that are consistent with microbial infections and lipid excess and imbalance. The high prevalence of enlarged livers and excess fatty tissue within the liver may well relate here. With respect to the male gender, there is an interest in the relationships that exist between prostate enlargement, microbial nitrite production, and urinary tract infections. Prostrate enlargement is especially common with aging males, and this appears to be a complicating factor in hindering the removal of microbial toxins and the microbial organism itself from the body. This issue also may tie in directly to overloads presented to the lymphatic system by excessive bacterial growth, i.e., bacterial and urinary tract infections. It has long been stated here that skin manifestations are only one outward symptom of the Morgellons condition; the assaults are numerous and certainly belong within internal physiology as much or more than dermatology. If it is perceived that these factors may be affecting an individual, it may well be wise to evaluate the benefits of high quality and comprehensive prostate size reduction supplements. The issues of microbial growth, urinary tract infections, and lymphatic overload apply equally, however, to both male and female genders. The presence of excess nitrites coupled with the absence of lymphoyctes may eventually become one important bio-marker of the condition; this remains to be determined with certainty. Although only exploratory at this stage, there may be benefit found from the investigation of ultrasound therapies as they might be applied toward this specific microbial growth reduction. It is well known within microbiology that sonification is an effective method of microbial cell and membrane disruption; it is also accepted that ultrasound treatment is one of the safer therapies used in the health field for a myriad of applications. This course of thought is offered to the health communities and professionals for their consideration. Investigation of lymphatic overload and stress conditions may be one line of opening research here. It has certainly been an observed fact that the inherent energies of both laser and ultrasound have produced a physical response (i.e, movement in vivo), apparently from this same microorganism. The role of ultrasound as a potential mitigation or reduction strategy continues to be of high interest within the research. The development of controlled trials and the support for that process remains as a strong suggestion for the health communities. The use of a well-rounded probiotic multi-enzyme formula (e.g., calcium, phosphorus, betaine HCl, pancreatin, amylase, protease, bromelain, papain, pepsin, ox bile, lipase, cellulase, lactobacillus acidphilus) may have benefit in the decomposition, denaturation, precipitation or removal of certain protein formations by the microorganism within the body. Separation of the influence of the various constituents above must be reserved for later and additional research. It is observed that different enzyme formulations produce variable effects of denaturation (i.e., precipitation in this case) or decomposition into the component amino acids. In either case, it is clear that enzymes can and will produce major changes in the structures of proteins; this change is anticipated to have potential benefits in the case of an unwelcome protein within the body. The interaction of variable enzymes with varying proteins (esp. the protein under immediate study) is obviously a rich topic of research for the future. The topic of thiocyanates and their toxicity continues to develop as a highly important topic of research. Their presence within numerous organic analyses than span a variety of sample types and environments is irresponsible to ignore at this point. Please refer to the paper entitled “A Point of Reckoning – Part III” (Oct 06 2017) for additional information on this subject. Isothiocyanates can assume important roles within joint issues, thyroid problems, and mineral uptake as related to human health. These same issues certainly now present themselves at the forefront of the Morgellons research at CI as well. It would be foolhardy to ignore the level of correspondence between laboratory study and symptom reports that now exists. 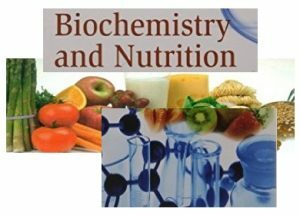 Previous mention has been on this paper regarding the role that bioavailable forms of vitamin B-12 may play in the reduction of thiocyanate toxicity. This strategy is now of heightened interest as the result of the more recent, comprehensive, and expanding research. This topic remains as a suggested and further emphasized topic of investigation for the health communities. On a more general note, not yet definitively known to be related to the CI Morgellons research, the significant deficiency of vitamin D within the overall population seems to be very well established. This issue has been called to my attention via a recent conversation with a medical doctor where it was casually mentioned that this situation is affecting up to 80% of the general population. Verifying that statement has not been difficult; for example, a Scientific American article as far back as Mar of 2009 places the level at 75% at that time. The situation has deteriorated quite rapidly within a couple of decades and is not explained as to its cause. Vitamin D deficiencies are associated with a broad array of illnesses and health conditions, including cancer, obesity, autism, heart disease, Alzheimer’s disease, osteoporosis, joint conditions, and periodontal disease; this is only a partial listing of ailments within a broader list. It should be of no surprise that vitamin D deficiency study should also be incorporated into the Morgellon’s research of the future; the fact that vitamin D3 is a fat soluble vitamin already provides cause for investigation into the relationship between a deficiency and the impact upon the liver from the Morgellon’s conditon. It is recommended that readers investigate the more bioavailable forms of vitamin D, such as vitamin D3. The dosage levels that are reported as beneficial vs. the minimum recommended levels are also a worthy topic to examine. Recommended levels by the National Institutes of Health (NIH) are currently on the order of 600 I.U. ; bioavailable supplement forms of D3 are commonly available at 5000 I.U. These differences, with respect to bioavailabilty and dosage, undoubtedly are major issues to consider in the deficiency question. It can also be mentioned that the well known reference book, Prescription for Nutritional Healing, Phyllis Blanch CNC, contains an important section on immune system support. The list of supplements mentioned therein is undoubtedly of potential benefiIt as well within this discussion. The book is deserving of a general recommendation as well, as it represents a wealth of valuable health information. It is to be understood that toxicity can occur from any supplements or food consumed in inappropriate amounts; each individual is responsible for seeking counsel from the health practitioner of their choice. I anticipate easily up to a couple of dozen physical symptom, biochemical, and microbial markers of the Morgellons condition to be evident and apparent as the work in place is properly reviewed, evaluated, and utilized. The list above is not intended to be complete or dogmatic; it never can be as human health is far too complex for such presumptions. In addition to the prerequisites stated, however, hopefully it can provide some leads of investigation and research for the future. All mentions above are of an investigative nature, however, and each of them has some basis of scientific study over a period of many years within Carnicom Institute. Please attend to all caveats, seek the the involvement of the professional health community, and may we all move forward and work together to improve our future health and humanity.